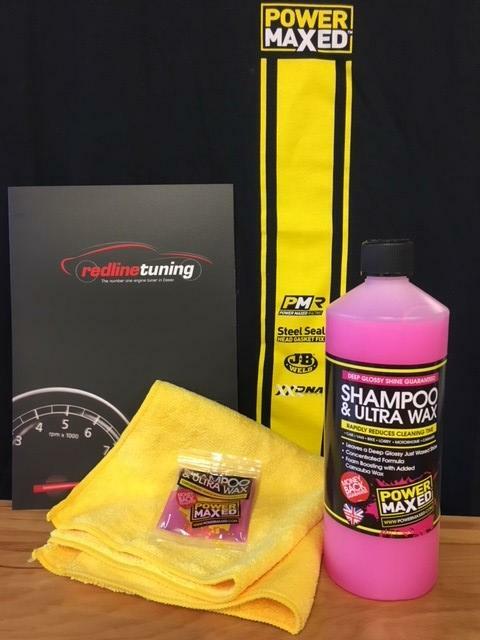 Power Maxed Shampoo & Ultra Wax 1 litre + Free Complimentary Micro fibre Cloth and Shampoo & Ultra Wax Sachet. Power Maxed Shampoo & Ultra Wax combines foam boosters and carnauba wax for professional deep cleaning. The shampoo breaks down surface grime quickly and effectively. Dirt is kept suspended in the foam solution until washed away with clean water. The Carnauba wax helps expel excess water from the surface and helps speed up the drying time leaving a streak free, high shine with minimal agitation. Please Note: using more than the recommended solution (25mm) will cause streaking. To remedy this, simply hose off and wash with the recommended dose.